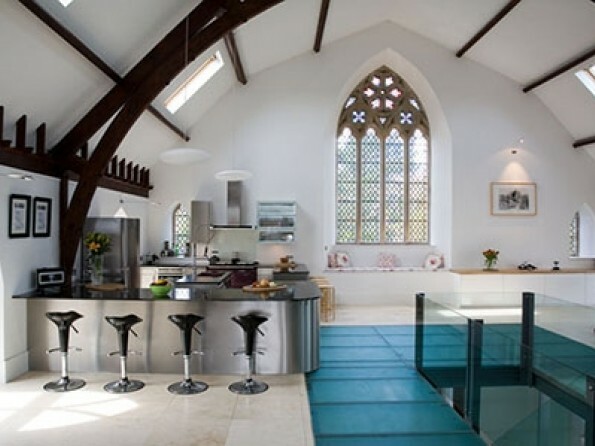 This stunning church conversion has been featured in a number of architecture and interiors magazines and it is not hard to see why. Luxurious bespoke contemporary features housed in a unique traditional building – Cairns House is nothing short of spectacular. With 5 bedrooms and huge amounts of living space, the house occupies an elevated position overlooking the Tweed Valley and the Cheviot Hills, in the heart of the Scottish Borders, just an hour from Edinburgh. 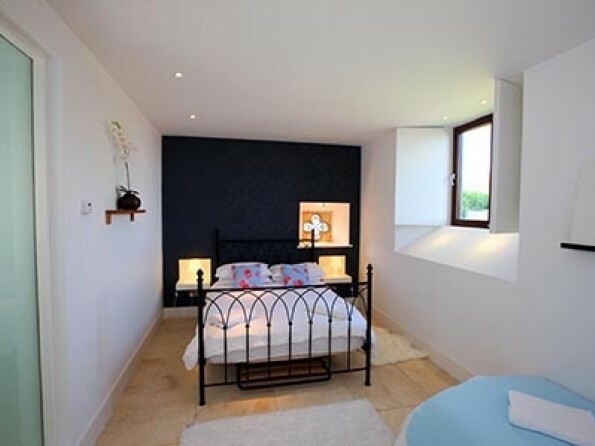 This makes it the perfect bolt-hole, close to pretty, historic towns as well as quiet countryside and sandy beaches. 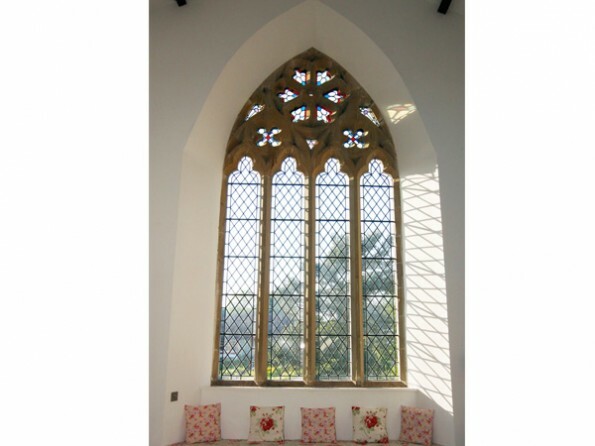 The church dates back to 1878 but has been extensively and creatively restored, retaining its wonderful vaulted ceiling and original windows and adding features like under floor heating, an opaque glass floor and a bespoke glass and oak staircase. 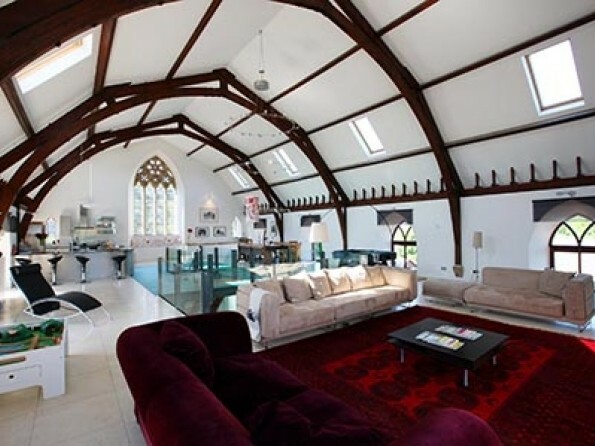 If you’re looking for the wow factor, a stay in a church conversion is it! Cairns House is 3 miles from the delightful historic town of Kelso, home to the majestic Floors Castle, the championship Roxburghe golf course and the famous race course. The town has a range of independent shops from a deli, butcher, fishmonger and baker to antiques shops and a monthly famers’ market. Nearby, you will find the attractive town of Melrose with its winding streets and collection of pubs and restaurants, or you could stop and explore Mellerstain House, a stately home with a noteworthy art collection. Enjoy the panoramic views from the top of 15th century Smailholm Tower, hike up to Scott’s View or take a day trip to nearby Edinburgh with its ancient castle and vibrant shopping and nightlife scene. This area is a golfer’s paradise (there are 22 courses within a 30 mile radius), walkers and cyclists will find hundreds of miles of countryside to explore, or you could spend a day at the deserted coastline. 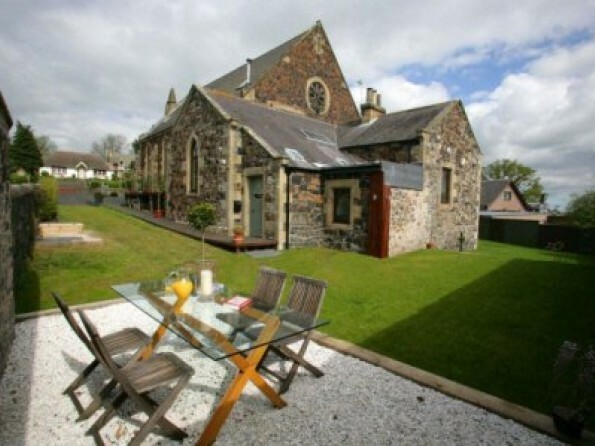 This is an idyllic setting for a holiday in a converted church. 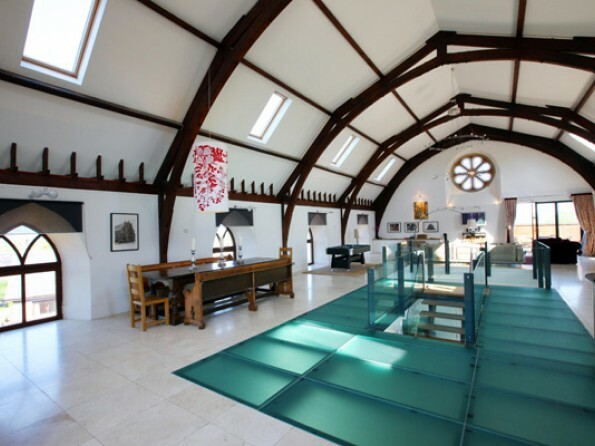 The building is floored throughout with travertine tiles, warmed by under floor heating, and the enormous open-plan living space (60ft by 40ft) is characterised by glass floors, a beautiful staircase, rose glass windows and a vaulted ceiling. 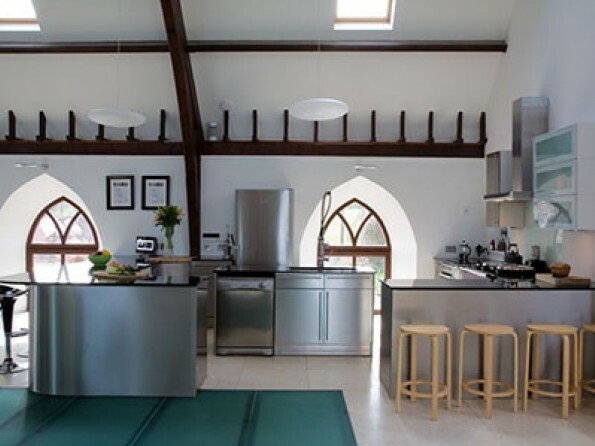 There is a bespoke kitchen complete with a breakfast bar and various gadgets as well as a traditional dining area for 14, a games area with a pool table, and a sitting area with sumptuous sofas and a multi fuel stove to keep you cosy. 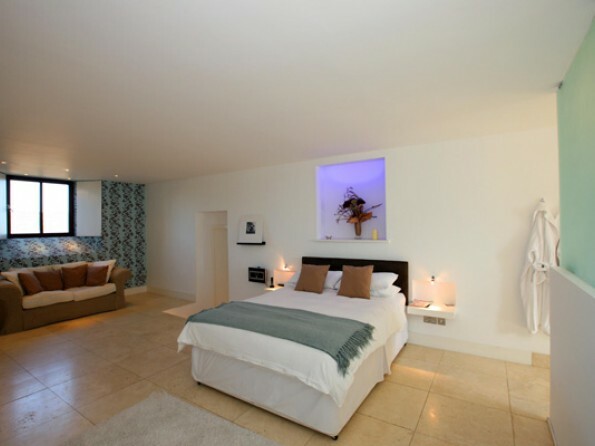 The light-filled bedrooms are furnished in a simple, modern style and the substantial master-suite has its own bathroom complete with designer fittings, argon mood lighting and a sound system. 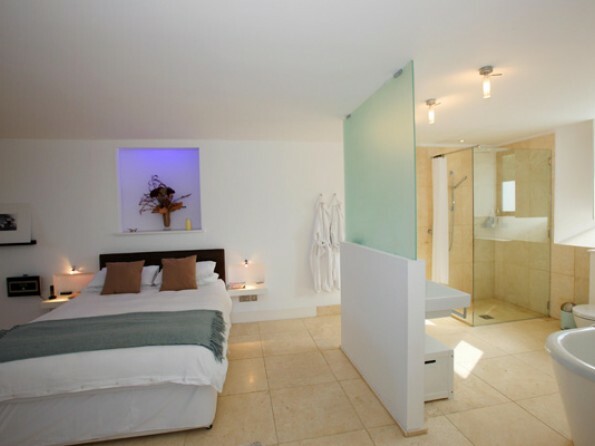 Of the other bedrooms, 2 have an en-suite shower and there are 2 additional bathrooms equipped with baths with showers. 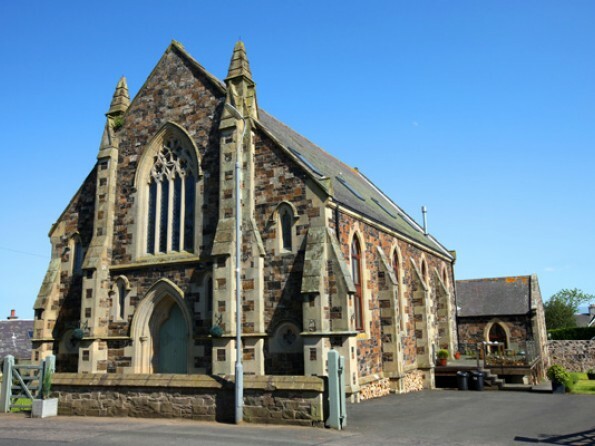 Cairns Church House can accommodate an additional 3 people with 2 of the bedrooms having an extra bed and the master-suite a bed settee. From the first floor living area, a patio door opens onto a cedar-clad balcony with wonderful views over the Tweed Valley to the Cheviot Hills. At the entrance to the church is an elevated decking area with garden furniture, with separate driveway and enclosed allocated garden area which is safe for children and dogs. 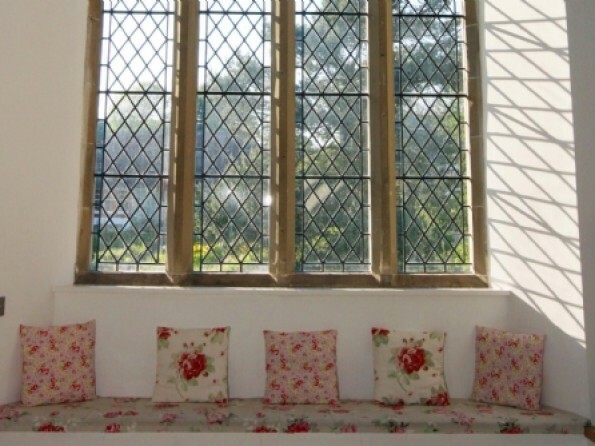 (The housekeeper lives in the rear of the property in the old vestry, with separate access, garden and drive). One well-behaved dog is welcome. 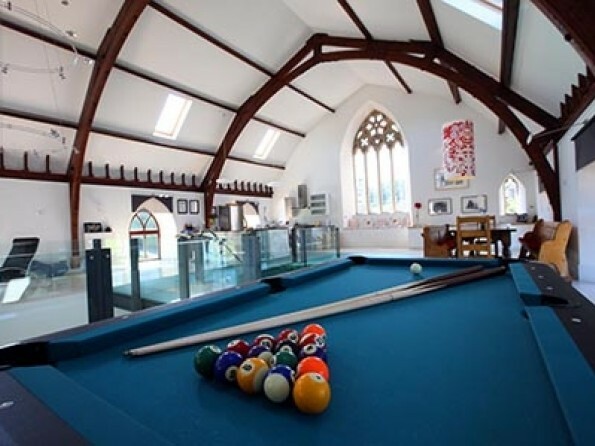 The house is very well-equipped for children, with a pool table and numerous toys and games. A cot and stair-gate are available on request. Catering at Cairns House is flexible and the property can be taken on a self-catering, partly catered or fully catered basis. And a stay in a church house does not have to be frugal. A homemade meal and wine delivery service can be arranged and a housekeeping service is also available. The lounge is kitted out with all the mod cons, from a state of the art sound system with pre-loaded CDs to a large plasma screen TV. All prices include VAT, cleaning on departure, bed linen and towels, electricity, gas, water, fuel, and central heating. Please note that cot linen is not included unless specified. A booking deposit of 25% must be made to secure the booking and the balance of the rental cost and security deposit must be paid eight weeks prior to your arrival. Bookings taken within eight weeks of arrival must be paid in full at the time of booking.